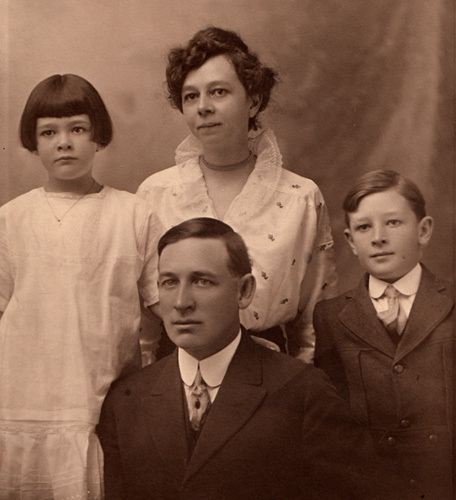 Birtie May Claybourn was born 9 March 1879 to James H. Claybourn and Harriett Ann Maxey. She was born in Akin, Illinois, east of Benton, and graduated from Mt. Vernon High School in 1897. Birtie married on 29 May 1902 to Paul Shirley Whitacre, son of Mary L. (Ham) and Frank G. Whitacre. He was born 21 June 1880 at Browns, Illinois and served during the Spanish-American War (1898) with Company K of the 9th Illinois Regiment. He was a talented musician and could play any instrument, so he also served in the Regimental Band from April of 1898 to May of 1899. In Sterling he was Master of the Knights of Phythias Lodge, a Royal Arch Mason, Past Master and Chancellor Commander, and Scribe. He belonged to the I.O.O.F., the Rotary Club, the Eastern Star and White Shrine. While living one year in Brush, Colorado, he directed the Methodist Church choir. He was an electrician by trade. He was very handsome and well liked. Birtie May was President two years of the Zeta Zeta Club, study club, Chaplain two years of the P.E.O. Sisterhood, and a member for many years in both organizations. She was also President of the City Federation of Women’s Clubs; Chairman of the Industrial Committee of the State Federation of Women’s Clubs; and Secretary of the Eastern Star and of the White Shrine. During World War I Birtie was State Lieutenant for the Liberty Loan Drive in Colorado; Vice President of the Republican Central Committee; member of the State Republican committee; and a precinct committee woman for years. She worked for four years in the County Clerk’s office in Logan County, Colorado, and served four years as County Clerk from 1924 – 1928. She was Vice President of the State Association of County Clerks and a member of the legislative committee in that organization. 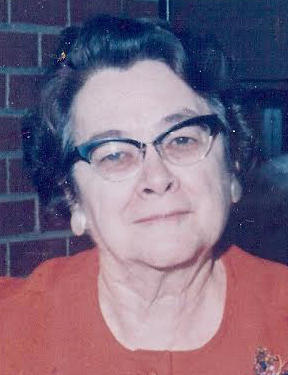 Birtie was a lifetime member of the First Methodist church and was very active through the years. She taught Sunday School class for many years, was Secretary of the Home Missionary Society, and in later years in Mt. Vernon she was a “circle leader” and two years President of the Women’s Home Missionary Society. Her husband Paul died on 2 January 1922 in Sterling, Colorado, following an operation for acute appendicitis. He is buried at Riverside Cemetery in Sterling, Colorado. About seven years later, on 1929, she moved back to Mt. 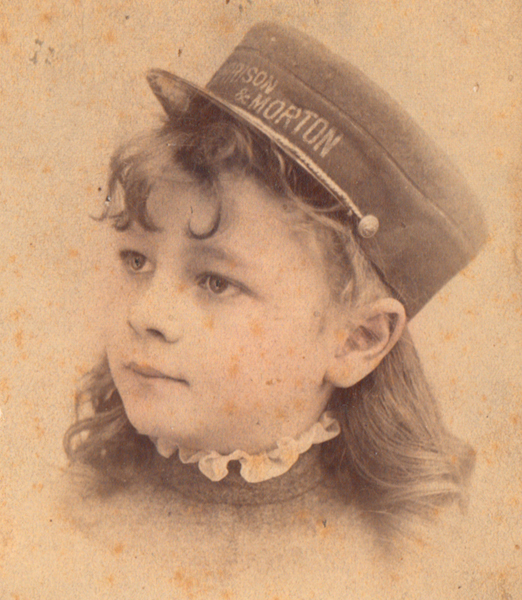 Vernon, Illinois, to be near her people, who always regarded her at family gatherings as an excellent cook. There in Mt. Vernon she lived at 1003 North Street and remained active in church and social affairs. Birtie died on 22 June 1961 at her home on North Street and is buried in Oakwood Cemetery. 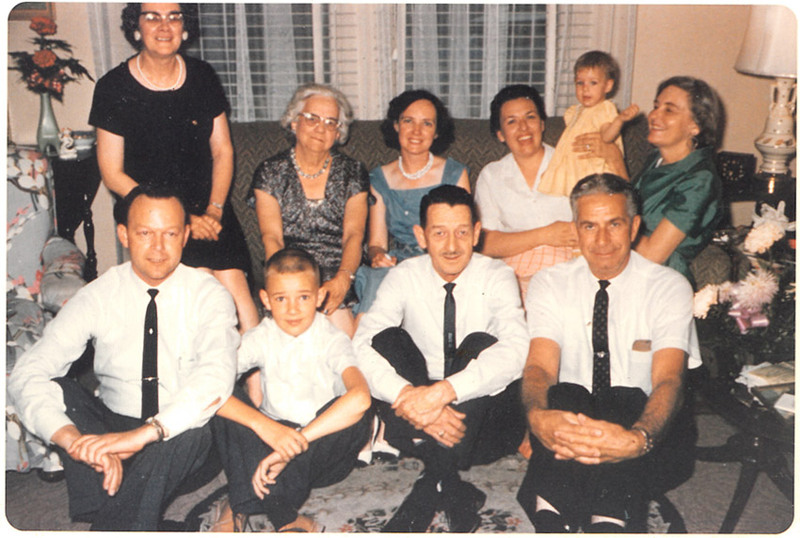 Donald Paul Whitacre was born on 9 November 1904 in Sterling, Colorado. He was a musician and inventor. During World War II he served in the Navy as an Electrician First Class. He received a commendation for his contribution to underwater sound detection by inventing machines which made sonar sounds in the classroom sound just as they did at sea, thus shortening sea training time. After the war he worked in electronics and wire manufacturing and was a tool maker. Eventually he worked in manufacturing and distributed the new Whitacre Wire Drawing and Galvanizer Dead Blocks as Whitacre Engineering and Manufacturing Co. at 5649 Alhambra Ave., Los Angeles, California. He lived at 1512 B West Commonwealth Ave., Alhambra, California. His patented inventions are still in use today. Donald married (1st) on 8 December 1923 to Ruth Louise Cooley (1903-1985). They had one child, Evelyn Pauline, but Donald and Ruth divorced in 1924. Donald married (2nd) on 1 August 1925 to Pearl Thompson of El Paso, Texas. [Pearl Thompson was born 28 February 1906 in Leavenworth County, Kansas, to Bert Earl Thompson (1882-1966) and Olga Alma Mueller (1885-1953). Bert was born in Wichita, Kansas, and served as a sergeant in the U.S. Army in the Spanish-American War. Olga was born in Saxony, Germany. Bert and Olga are buried in Fort Bliss National Cemetery in El Paso County, Texas.] 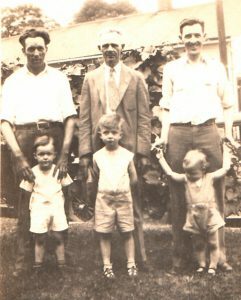 They had four children: Donald, Ted, Shirley, and Charles. Pearl died on 7 June 1972 and Donald died on 24 February 1978, both in Ventura, California. They are both buried there in Ivy Lawn Memorial Park Cemetery. Evelyn Pauline Whitacre was born on 18 October 1924 in San Diego, California. She married on 22 June 1945 to John Kristian Sinderholm, Jr.[John Sinderholm was born on 8 July 1922 of Danish parentage.] John was a Major in the Marine Corps. as a jet pilot. He was awarded a Distinguished Flying Cross medal for combat during the Korean War. The couple lived at 315 Starling St. in Jacksonville, North Carolina and had three children, listed below. Evelyn died on 21 January 1993 in Poway, California. John died on 1 December 1999 in El Centro, California. Evelyn and John are buried together in Dearborn Memorial Park Cemetery in San Diego Co, California. Karna Ruth Sinderholm was born on 12 February 1948 in Prince William County, Virginia. She was killed in a car accident in San Diego, California, on 11 September 1966 and is buried in the same cemetery with her parents. Karol Lynne Sinderholm was born on 26 September 1949. She married Ronald James Begley on 14 July 1968 in San Diego Co, California. [Ronald James Begley was born in 1947 in Santa Clara County, California.] Their son Matthew Ronald Begley was born on 19 May 1972 in San Diego. Karol Lynne Begley married second to Rodney Jay Bailey, both residents of California, on 4 September 1997 in Douglas County, Nevada. This appears to be a second marriage for her. Karol Lynne Sinderholm, a resident of Nevada, married James Patrick Carey, a resident of Nevada, on 31 December 2002 in Clark County, Nevada. This appears to be a third marriage for her. Matthew Ronald Begley was born in 1972 in San Diego County, California. Michael J. Begley was born in 1974 in San Diego County, California. Mark Edward Begley was born on 3 February 1981 in San Francisco County, California, and died there on 20 February 1998. He is buried there in Dearborn Memorial Park Cemetery. John Kristian Sinderholm III was born on 19 November 1952 in Orange Co., California. He married Carole A. Spence on 2 November 1974 in San Diego Co, California. [Carole Spence was born in about 1955] John died on 18 June 2010. Donald Paul Whitacre Jr. was born on 22 February 1927 in El Paso, Texas. He served in the Navy during World War II and lived in Salisbury, North Carolina. He married (1st) a woman named Adele (last name unknown) from Connecticut and they had no children. The two divorced and Donald married (2nd) on 13 September 1950 to Dolores La Vern Allgood (1913-2013) at East Spencer, North Carolina. [Dolores Allgood was born on 7 June 1933.] Donald and Dolores had two children. Donald Paul Whitacre Jr. died on 27 June 1993 in Oxnard, California. Donald Paul Whitacre III was born on 26 March 1951 in Rowan County, North Carolina. He married Deborah N. Reid on 11 May 1973 in Alameda County, California, and they divorced on 5 March 1984 in Solano County, California. They had two children: Donald Paul Whitacre IV (born in 1978 in San Diego County, California) and Dyana Nadine Whitacre (born in 1981 in Solano County, California). Donal Paul Whitacre III died on 18 April 2015; his funeral was handled by a mortuary in Long Beach, California. Sandra Louise Whitacre was born on 8 January 1954 in Rowan County, North Carolina. She married Charles Jacob Lake (1951-2010) on 4 October 1975 in Ventura County, California. Sandra graduated from Ventura Community College and worked for Blue Cross of California as a registered nurse, while Charles graduated from California Polytechnic State University and worked for the Navy as an electrical and civil engineer until his retirement in 2006. Sandra died of leukemia on 22 November 2010 in Westwood, California, several weeks after her husband died of cancer. They had two children: Charles Benjamin Lake (born in 1979) and Jonathan Loren Lake (born in 1981), both born in Ventura County, California. 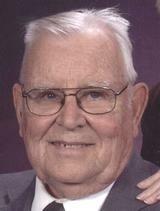 Ted Claybourn Whitacre was born on 27 November 1928 in Sterling, Colorado. He served in the U.S. Army Air Forces for seven years as a Flight Engineer and was honorably discharged in 1949, and again in 1953 as a Staff Sergeant. Thereafter he worked for the El Paso Natural Gas Co. and lived at 1141 E. 12th St., Casa Grande, Arizona. He married on 5 March 1950 to Margaret Ann Naylor of Denton, Texas and together they had four children, listed below. Ted and Margaret divorced in January 1971 in Ventura County, California. He married (2nd) to Joann M. on 2 December 1972 in Clark County, Nevada, and they divorced in December 1973 in Ventura County. He married (3rd) Midge Maurice Campbell (1928-2010) on 18 June 1976 in Ventura County and they divorced there on 5 January 1983. He married (4th) to Evelyn on 1 September 1984 in Ventura County. Diana Leigh Whitacre was born on 6 January 1951 in El Paso, Texas. Eileen Marie Whitacre was born on 27 August 1952 in Roswell, New Mexico. Laura Ann Whitacre was born on 3 October 1954 in Casa Grande, Arizona. Stephen Edwin Whitacre was born on 5 December 1960. Shirley May Whitacre was born on 30 June 1935 in Davenport, Iowa. She graduated from high school in Goleta, California and later worked in the office of the Telephone Company of Los Angeles. She married on 23 February 1958 to Wilbur Eugene Shedlock, who was born on 23 February 1927 in Wilkes-Barre, Pennsylvania, of Hugarian ancestry. Wilburt served in the U.S. Navy during World War II from October 1944 to August 1946. Together Shirley and Wilbur had four children. Wilbur died on 26 June 1980 at New Port Richey, Florida. Kit Lee Shedlock was born in 1960 in Los Angeles County, California. He married Sandra Kay Crawford on 19 April 1989 in Marion County, Florida, and they divorced on 8 December 2000 in Pasco County, Florida. Susan Arlette Shedlock was born on 23 February 1962 in Los Angeles County, California. Mary Annette Shedlock was born on 8 April 1965 (a twin to Pearl) in Orange County, California. Pearl Denis Shedlock was born on 8 April 1965 (a twin to Mary) in Orange County, California. William Charles Whitacre (“Bill”) was born on 12 March 1944 in San Diego, California. He attended the Harding Military Academy in Glendora, California. On 10 August 1968 he married Janet Marilyn Voge in Rice County, Minnesota. Together they had two children. Bill served as a specialist 5 rank for the U.S. Army in Vietnam. He died on 21 September 2007 in Tonopah, Nye County, Nevada. He is buried in the Southern Nevada Veterans Memorial Cemetery in Clark County, Nevada. David Lee Whitacre was born on 24 February 1969 in Rice County, Minnesota. Brian Scott Whitacre was born on 13 September 1971 in Ventura County, California. Harriet Edith Whitacre was born 16 August 1907 in Brush, Colorado. She graduated from Logan County High School in Sterling, Colorado and then worked as an assistant to the Logan County Clerk from 1926-1930. She married (1st) on 15 December 1926 in Cheyenne, Wyoming to Ronald McCracken (born in 1908 in Alberta, Canada). He was an embalmer at a funeral home. Together they had one child, Polly, discussed below. Harriet and Ronald divorced in 1935 and he would go on to serve in the Navy in World War II. He died in 1956 in Denver, Colorado. After the divorce Harriet Edith and Polly moved to Davenport, Iowa, and stayed with Harriet’s brother’s family there while Harriet attended business school. Harriet Edith married (2nd) in May of 1940 to Earl Jamison, a realtor and insurance agent. They divorced in 1943 and she resumed the name of McCracken. After Harriet Edith graduated from business school she then moved to Mt. Vernon to be close to family. Initially she and her daughter lived in Birtie May’s duplex at 206 N.11th Street, and then later moved to 1003 North Street in Mt. Vernon, Illinois. 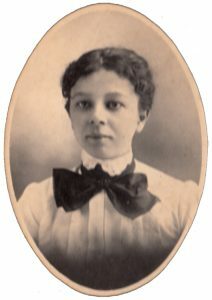 Harriet Edith was employed in the purchasing department of the Mt. Vernon Car Manufacturing Co. and J.P. Devine Co. from 1936-1945; employed as secretary of Dowzer Electric Machinery Works, Inc. in 1945; elected Secretary of the Corporation in 1946 and Director in 1956. She entered Girl Scouting in 1938 and served as Commissioner from 1940-1942 (during the term the Girl Scout “Little House” was erected); she then served as Secretary, Publicity Chairman, Finance Chairman and Treasurer for the Girl Scouts. Harriet was appointed by Mayor Milton Forsyth to the first Sewer Commission in 1952 and was re-appointed in 1956 for four more years, serving as Secretary of that commission for the entire period. She also served as Secretary to the Rend Lake Conservation District (Franklin and Jefferson Counties) from 1955-1957; elected to the Board of the Mt. Vernon Business and Professional Women’s Club in 1950 and re-elected in 1953 for four years, Vice-President from 1950-1951, President from 1951-1952, and Secretary of District 10 from 1953 to 1954. She also served on the Board of Directors of the King City Dinner Club from 1955-1958 and appointed to the Board of Directors of the Jefferson County United Fund from 1959 to 1962. All of these civic positions were carried on without pay. Harriet also belonged to two bridge clubs and led a busy life. Polly’s high school days at Mt. Vernon Township High School were during World War II. Daylight savings time and rationing were all in force during these war years. Polly found it notable that this was the first time girls wore slacks to school; they would wear them under skirts and then take them off upon arriving to school. In later years they could wear slacks all day. Polly was involved in drama and theatre classes and in most of the plays, either on stage, in make-up crew, or as a stage hand. Polly met her future husband, Bobby (“Bob”) Gene Dulaney, on a blind date at a Girl Scout Weenie Roast Hay Ride. Some men were asked to help chaperon since the girls had invited boy friends. A friend of Polly’s invited Bob and thereafter the two continued dating. They were engaged for four years before marrying on 20 May 1951. Bob was born on 11 March 1926 in Mt. 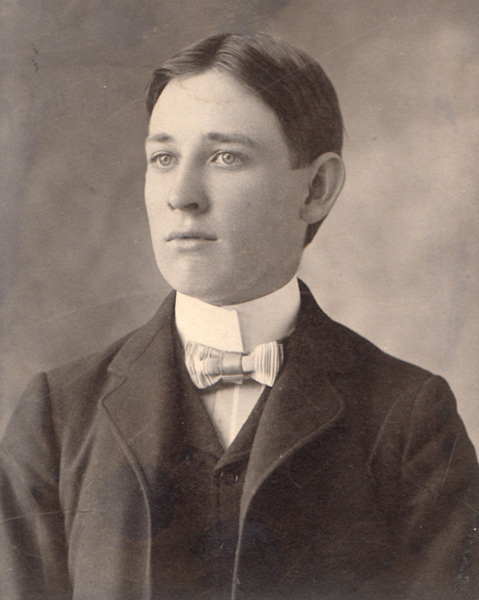 Vernon, the son of Charles Aydt “Dutch” and Ethel (Campbell) Dulaney. Bob had also graduated from Mt. Vernon Township High School and served in the U.S. Navy from 1944 to 1945. He spent part of his time in the conflict in Okinawa, Japan. 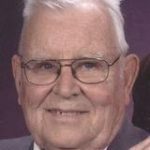 Later Bob graduated from the David Rankin School of Mechanical Trades in St. Louis in 1950 and worked as a transformer repairman for Dowzer Electric. Polly worked as an assistant librarian at the public library in Mt. Vernon, but resigned when her oldest son Rick was born. When Rick started school she went back to work as an assistant librarian at the new Mt. Vernon Community College, which later became the Rend Lake College. By taking night classes and working full time for 15 years, Polly earned a college degree from Rend Lake. Polly was a member of the Little Egypt Roadrunners camping group and the Jefferson County Historical Society. Bob was involved in AmVets Post 4, VFW Post 1376, American Legion Post 141, the Jefferson County Historical Society and the Little Egypt Roadrunners. Polly and Bob were both active members of First United Methodist Church in Mt. Vernon, with Polly helping with the Senior Circle and Bob involved in the Pioneers there. 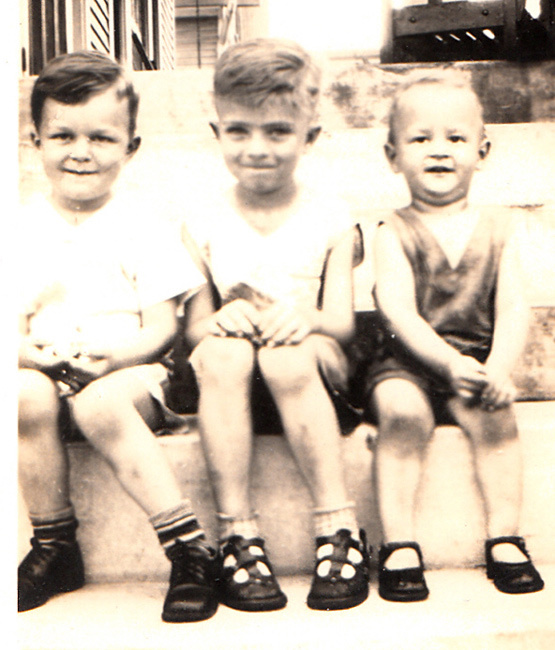 Richard Claybourn Dulaney (“Rick”) was born on 23 December 1953 in Mt. Vernon. He graduated from Mt. Vernon Township High School in 1972 and from Illinois State University in 1975. That same year he married Mary A. Pouliot on 30 August 1975. Both worked as school librarians living in Cissna Park, Illinois. They had two children. Daniel Ray Dulaney was born on 21 January 1989. On 12 July 2014 he married Rochelle Janaye Schmitt. Lisa Rae Dulaney was born on 1 April 1991. She graduated from Cissna Park High School and Eastern Illinois University. Michael Dulaney was born on 1 December 1962 and married Mary Jane Pass-more on 12 September 1981. They divorced in 1984 and Michael later married Darla. The two lived in Mackinaw, Illinois. Patrick Michael Dulaney was born on 11 September 1982.